Even though we are seeing a lot of flower color around the swamp the trees are still mostly dull grey and brown. 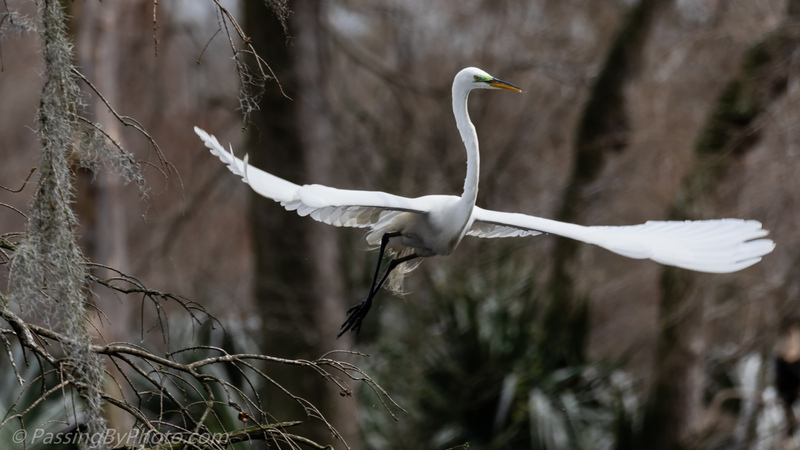 The island where this Great Egret took off has a few green palm trees which gave this flight shot some color. 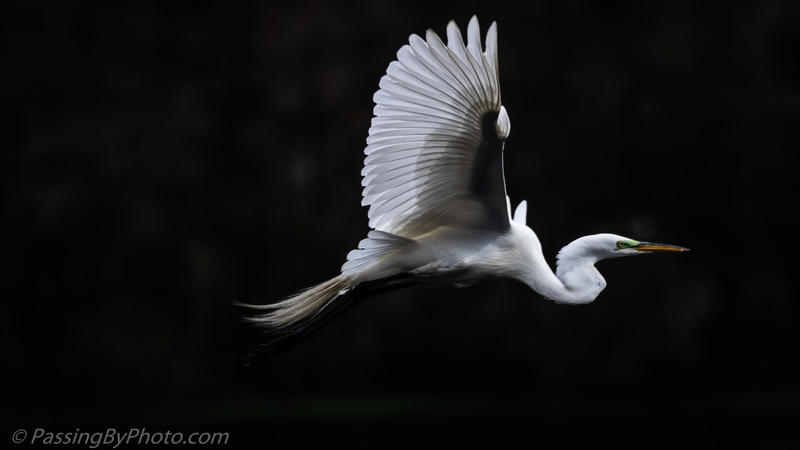 As he flew over the open water the background wasn’t nearly as interesting so I edited it to be darker, giving a nice view of the Egret’s wing tips and layers. 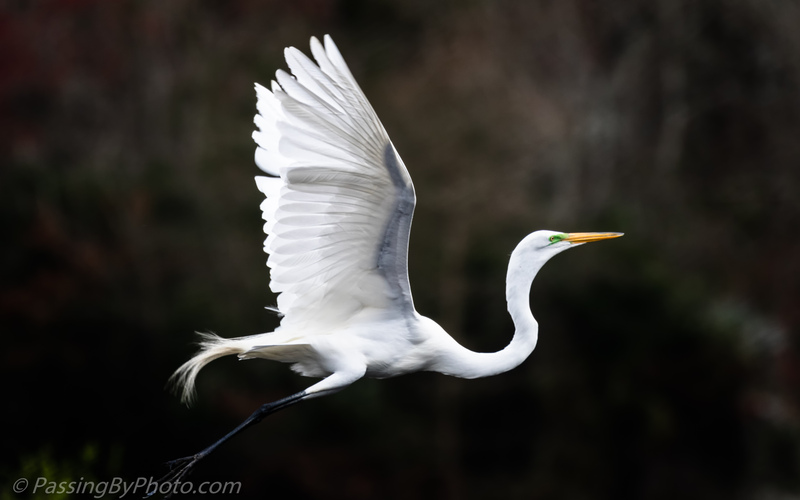 As he approached his destination, a tree closer to the edge of the pond, the Egret started to pull up for landing. Previous PostChickadee All InNext PostLook Up For Liftoff! Ellen that first picture is to die for. Wonderful shot of the bird. Thank you, Frank! I’m so glad that you liked it! I agree with Frank, that first photo is awesome.. those graceful outstretched wings! Thank you, Liz! I had a grand time watching them come and go around the trees. I very much like your second photo, Ellen. It is so beautiful with the light shining through the wings, emphasizing every detail of the wings and the tail. This is definitely a winner! Thanks, Greta! I like that exposure of the wing layers, too.